The New Yorker has a good article about Wikipedia, written by Stacy Schiff. Nothing really new here, but it is well written, has a fairly complete history of Wikipedia, and made me read about the Boston Molasses Disaster…. This entry was posted in Reading on July 30, 2006 by Espen. This is outdated – there is a new post here: Things to do in Boston. Take a deep dive into The Harvard COOP Bookstore (the large and “official” university bookstore, much better after management was taken over by Barnes and Noble a few years ago) or the Harvard Bookstore (my favorite, an independent bookstore with great selection, competent staff and a used book basement. Make sure you get their stamp card, reduced prices after a while.) Spend time browsing (nobody will bother you) and wearing out your creditcard. Have a burger at Mr. Bartlett’s Gourmet Burger Cottage (right next to the Harvard Bookstore.) No alcohol, but great lemonade, crispy onion rings and a huge selection of excellent burgers. Cash only, noise level can be high. Have a late and large American Sunday breakfast at the breakfast restaurant (can never remember the name) [UPDATE 7/30: The name of the restaurant is Greenhouse, and I have reliable information that it is no longer as good as it used to be – seems you will have to go with Au Bon Pain instead] next to Cardullo’s Delikatessen, after first having purchased 6lbs. of New York Times Sunday Edition from the newsstand on the sidewalk outside. Another alternative, especially if the weather is good, is Cafe Pamplona, more Spanish than many things found in Spain. Here, you escape the American “HellomynamisBrandyandIwillbeyourservertoday” restaurant culture – sit as long as you want. Bring a bunch of friends and have a Tex-Mex dinner with much shouting and joking at the (ask for Bohemia beer, recommended by John Steinbeck) at the Border Cafe. The bar here is also good, try a Marguerita as an aperitif. No table booking, expect to stand in line. (nerd alert!) visit the MIT Press bookstore (not to be confused with MIT’s branch of the COOP, which is on the other side of the street.) MIT Press Bookstore is tiny and on the right side of the street when you look towards Boston, at Kendall Square. 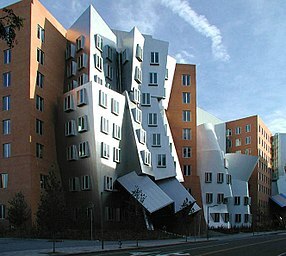 Check out the Stata Center, MIT’s newest building and an example of deconstructionist architecture. In my opinion, not very functional, but interesting shapes. Stay away from Cheers, a bar that from the outside looks like the TV series. If you are looking for a real, Cheers-like, bar, try Rosie’s, which is at Porter Square in Cambridge about 7 block up Mass Ave from the Harvard Common). Or just go to any of the Irish bars downtown. Have dinner in North End, the Italian district. Walk around and explore – Boston is a city of culture, with interesting stores and restaurants. A car is not necessary. 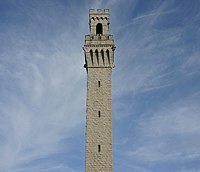 Go to Marblehead for an icecream, a stroll along the harbor, and some seafood. If you have an oval weekend: Go to Marthas Vineyard or Nantucket (the latter I haven’t visited myself, but I have heard good reports.) These are summer holiday islands southeast of Cape Cod, an interesting and very distinct part of the USA. It can be very crowded in summer, so make sure you have accomodation before you go. There are, of course, lots of other things to do and see, but these are some of the things I like. Have a great trip! This entry was posted in Itinerancy observations on July 14, 2006 by Espen. A somewhat snide remark. The police don’t go around looking to shoot people, despite what the media may lead you to believe. Whenever I’ve been involved with armed police I’ve been impressed by the pure professionalism that they show. They are anything but looking for brown-skinned people to shoot. People who make such pronouncements don’t understand how confused a scene can get, with differing intelligence, hearsay, rumour and lines of communication suffering from Chinese whispers. Related to the above comment, this is an example of how the media works. The operation went off without a hitch – no one was shot, there were no interesting pictures of irate kidnappers. The only injury was someone who had been punched in the mouth. In 2002 the armed police were called out 2,490 times in London alone. How many times was this reported in the media? It’s only a story if someone gets shot. This is why the public have an imbalanced view that the police enjoy shooting people. You never hear of all the lives that have been saved because of their attendance. I think we do. We need blogs from hospitals, from hospices, from the inner sanctums of bureaucracies, from refugee camps and military bases. Information want out, and direct from the source is best. I am looking forward to it. 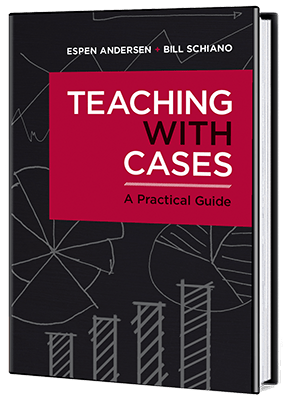 This entry was posted in Blogging on July 11, 2006 by Espen. This is a test using Dragon NaturallySpeaking to dictate a blog entry. Language recognition technology has been seen as promising as long as I can remember. When I started studying in the United States in 1990, one of my fellow students came from IBM, where she had worked with language recognition technology for 12 years. Six years later, I purchased my first language recognition system myself, IBM’s ViaVoice. It cost the whopping sum of $ 89, and you had to pause between words when you dictated. I used it for a few weeks, but the slow pace of dictation and the frequent errors, partially a result of not having enough computer, was frustrating. Now, 10 years later, I read about Dragon NaturallySpeaking on Kevin Kelly’s blog Cool Tools. Apparently, language recognition has progress, thanks to more powerful computers and better software. I have now fiddled with Dragoan NaturallySpeaking for about an hour, and I must say some progress has been made. You can now speak rapidly and fluently, and there is an autopunctuation feature, which inserts commas and periods as best as it can. It kind of works. I could see myself using this for instance to record speeches I give on telephone conferences, or to dictate blog entries and essays if my carpal tunnel syndrome flares up again, a friend of mine has used language recognition technology to meet into the computer long reams of text and data without having to type them. Nevertheless, the technology still has a way to go before it can do it very hard task of taking dictation. Correcting errors is rather cumbersome, you have to select words, and then laboriously tell the computer what you want to do with them. Also, the system has problems interpreting what I say occasionally. For instance, I tried to say laboriously, and it came out labor asleep. Hopefully, dictation will do for my diction what Graffiti did for my handwriting — train me to make the computer recognize it. Whether this works or not remains to be seen. I will report back when I have learned how to insert a Col�n cola call on…. This entry was posted in Blogging, Nerdy ruminations on July 7, 2006 by Espen.